Luke Skywalker. 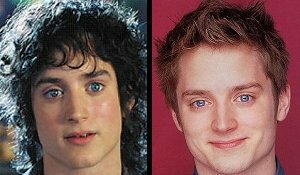 Frodo Baggins. These are names and characters I’m sure you’ve heard of. They’re the heroes of very popular movies. What makes these characters so interesting is that they had no idea what they were going to become. They had no idea that they were chosen for something huge, something very important. Are We Sons of Obedience or Disobedience? Luke Skywalker. Frodo Baggins. These are names and characters I’m sure you’ve heard of. They’re the heroes of very popular movies. What makes these characters so interesting is that they had no idea what they were going to become. They had no idea that they were chosen for something huge, something very important. They may have thought that they were in-significant, but in reality, their life would make the difference for the lives of many other people. Obviously, these characters are just fictional, but their stories are not that different from yours. You may not understand it yet, but you have been chosen for something great. Many of you were chosen to accomplish this amazing task at a very young age and probably don’t remember much of what happened. What is the task I’m referring to? You have been chosen to represent the Creator of the Universe; you have been called to represent Christ. Being chosen to represent Christ happened when you were baptized. It was at your baptism that you were chosen to be part of a very special group, the Church, and enlisted to be part of a very special mission. It was at our baptism that we “put on Christ”— Christ became our uniform like that of an athlete or a super-hero. Also, every time you come to Church and receive Communion, you receive Christ. When you receive Christ, He becomes part of you—just like He did at baptism. That means, you’ve become his representative; actually you’re united to Him so you’re even more than just a representative. Why is representing Christ such a huge responsibility? Without the Church, and without you, Christ is incomplete. These aren’t my words but they come from the great saint, John Chrysostom, who said: “So great is Christ’s love for the Church that He, as it were, regards Himself as incomplete, unless He has the Church united to Him as a body.” He continues: “Christ is the Head of the Body, but of what use is the Head without hands, without eyes, without legs, without ears?” Basically, you, as a member of the Church, are Christ’s hands, his feet, etc. Christ did many things during His life on earth but once He ascended to heaven, how does his mission and work continue? Through His body, the Church. What does representing Christ mean? First and foremost, it means learning about who He is and being trained by Him, just like Luke Skywalker was trained by Obi-Wan Kenobi, and just like Frodo was guided by Gandalf. Every hero, or athlete, has to be trained by someone. That’s the same with us. We need to be trained by Christ and we are trained by Him when we have a relationship with him through receiving Communion frequently, going to Confession, reading the Bible daily, praying daily and by having a relationship with a priest. As we are trained by Christ, we become stronger in our faith and a better representative of Him. If you start with these things first, Christ will train you and you will know how to represent Him well. What’s amazing is that God doesn’t care how young you are for this task. It doesn’t matter that you haven’t graduated from school yet. It doesn’t matter if you don’t have your driver’s license yet. It doesn’t matter that you can’t vote yet. God has chosen you to do something extremely important for Him now, not just in the future but today. If you ever start to doubt your value or your self-worth, or if you start wondering if you’ll ever be part of something great, always remember that you’ve been called to something great by God and that He thinks you have what it takes to represent Him. You may not get accepted into the best school; you may not get accepted by the varsity team or get the starting position on your sports team. However, you have been called to represent the most important Person in the world. You have what it takes. That is no small task but you can do it— otherwise God wouldn’t have chosen you.